These principles summarize and describe the kind of information and data we process, the way in which they are processed and how long they are stored. Here, you can also read about your rights as enlisted in the General Data Protection Regulation (GDPR), and the way in which to enforce them. 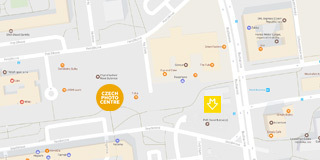 These principles apply to Czech Photo Centre s.r.o IČ: 04844025 DIČ: CZ04844025 sídlo Seydlerova 2835/4, Stodůlky, 158 00 Praha 5 Kontakt na společnost Czech Photo Centre s.r.o. - mail: cp@czechpressphoto.cz; and Czech Photo o.p.s IČ: 25758675 sídlo Seydlerova 2835/4, Stodůlky, 158 00 Praha 5 Kontakt na společnost Czech Photo o.p.s - mail: cp@czechpressphoto.cz. All the data you provide when browsing our web pages, whether by enquiring or using our services and products, is divided into: 1. Anonymized 2. Non-anonymized Depending on which group the data belongs to, the following processes take place: Anonymized data are data and information that cannot be used in any way, either by simply pairing or by combining them, to identify the person to whom they belong. Anonymized data, such as cookies, device identifiers, web browsing records, IP addresses, dates and times of visits, and how our services and websites are used, server log information (for example, search queries on our site), geolocation data, or personal preferences, are processed in automated and secure applications on our own servers. We do not pair the data with specific users and customers so that it cannot be identified as their personal data. Non-anonymized data can easily be paired with a particular user or customer, and can be combined to obtain an individual’s personal data. In particular, the name, surname, address, age, birth number, telephone contact, e-mail address, gender, date of birth, nationality, document numbers and more ... We process such data only in secure applications that meet the GDPR requirements, and in an internal company storage system with limited access - only trained and competent employees are allowed to work with this data. In printed form, such information is stored in locked archives, and only authorized and trained staff are allowed to access them. We then store and process all data in accordance with the Internal Data Handling Directive (we can provide you the official section on request, see your rights below) and in accordance with the requirements of ISO 27 001 Information Security Management System. We process all information and personal data according to the nature of the purpose for which it is stored. We process the data used to perform analyses, improve our services and for advertising on the basis of your consent for a maximum of 10 years if there is no renewal of your consent. Data obtained through websites, such as cookies and records of the use of these services, are stored for a maximum of 4 years. However, you can restrict their storage period by using Google Analytics Opt-out Browser Add-on. Information and data resulting from contractual relationships (invoices, contracts, receipts, etc.) are retained for a period determined by law. You can request information about data processing or storage by email at GDPR@trigema.cz or in writing to the address of the company's registered office. Depending on the nature of the data and before we release the information, we may ask you to provide proof of identity to obtain the data. You can enforce the right to delete data in the same way. The right to disagree with the processing of your data for direct marketing purposes that you can enforce using the "unsubscribe" link in the relevant marketing material. This document replaces an earlier document on the principles of dealing with personal data, which you can find here. All information on rights and obligations under the General Data Protection Regulation (GDPR) can be found on its official website or on the website of the Office for the Protection of Personal Data (UOOU).